Diamond plate pattern. 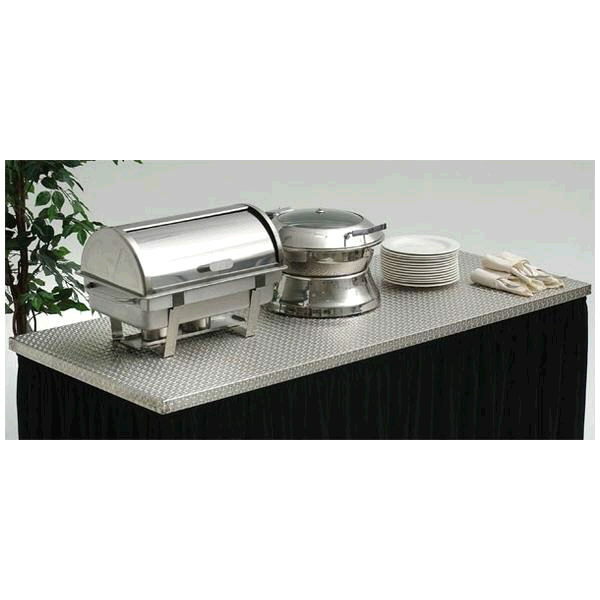 31-3/4" x 73-3/4; fits over the top of a 6'x30" banquet table. * Please call us for any questions on our tabletop chrome 6 foot 31 3/4x73 3/4 inch rentals in Ft. Wayne IN, Warsaw, Syracuse, Auburn, South Bend, Indianapolis IN.